I’ve recently been given a copy of Counter Culture, the Sheridan’s Guide to Cheese. I simply can’t put it down. What a gorgeous book, for me a romp down memory lane. A long overdue overview of the Irish farmhouse cheese industry, an appreciation of the charismatic, passionate and often deliciously eccentric people who has devoted their lives to producing beautiful cheeses from the milk of their dairy herds. Cow, goat and sheep’s milk cheese of many types that have helped in no small way to change the image of Irish food both at home and abroad. One after another they have won top prizes in cheese awards not just in these islands but also in the World Cheese Awards. Is it any wonder that our cheeses are so good when we can grow grass here in Ireland like nowhere else in the world, consequently many of our very best foods come from our rich lush pastures and summer milk. And who better to write this book but the Sheridan brothers, Kevin and Seamus Sheridan who established Sheridan’s Cheesemongers in 1995 with a cheese stall at the Galway Saturday Market. Their enthusiasm and deep knowledge charmed even the most reluctant passer-by to taste their latest find and gradually they converted the ardent Calvita eaters into farmhouse cheese lovers. Since then, the business has expanded to include four shops, a wine bar with a carefully choosen list to complement their wide range of Irish, British and European cheese. There’s a thriving wholesale and export business. 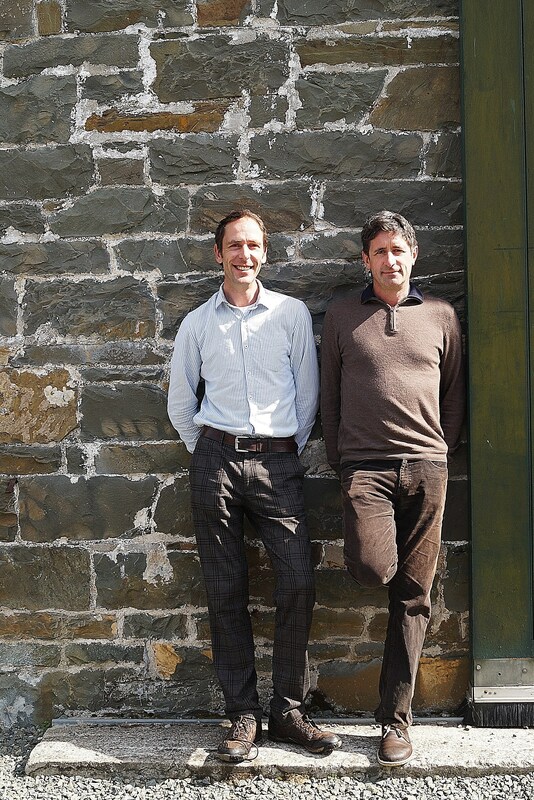 The brothers’ food and business ethos is still firmly rooted in the simplicity of their first market stall. Their passion for food and respect for those who produce it has led them to be at the forefront of an exciting revival in Ireland’s culinary heritage. 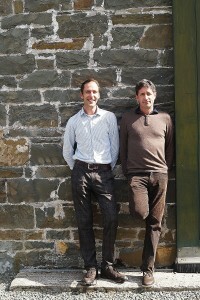 Seamus and Kevin are tireless advocates for sustainable food and farming. They are both devotees of the Slow Food Movement. I always remember my first meeting with Seamus at Slow Food Terra Madre in Turin in the 1980’s. He bounced up to me all tousled hair and big grin with a distinctively cheesey smell emanating from his rucksack. He proudly showed me the deliciously ripe Cashel Blue cheese he’d brought all the way from Tipperary to share proudly with Carlo Petrini and entice him and many other cheese makers to come to Ireland to taste the growing number of farmhouse cheeses and artisan products. This book written in collaboration with Catherine Cleary of Irish Times tells the lovely story of the boy’s childhood, their inspirational parents and the experiences that shaped them, holidays spent milking cows, turning hay, digging turf, chewing dillisk, experiences which gave them a deep appreciation of real food. And it’s not just about Irish farmhouse cheese. The chapters on the Origins of our Dairy Culture and the Science of Cheese are fascinating and you’ll soon be an expert on the differences between fresh cheeses, blooming rinds, washed rind, pressed uncooked cheeses and the pressed blues cooked cheeses. There are some great photos and recipes for Kevin, Seamus and Catherine’s favourite ways to showcase the beautiful cheeses. Book of the Week – vegan was a word scarcely understood by the general public a decade or so ago but now regularly discussed in the media as more and more people stop eating animal products for ethical and health reasons. A vegan diet is not just vegetarian but also excludes all dairy products, eggs and anything derived from animals or insects including honey. Many have espoused this way of eating in recent years including Bill Clinton, Al Gore, actress Natalie Portman say how much better and more energetic they feel. The Vegan Bible by Marie Laforêt, published by Grub St, has over 500 tempting recipes which illustrates the richness and diversity of vegan gastronomy. Handmade imported ceramics – Jenny Rose of The Sandwich Stall in the English Market has started to sell pottery wholesale….beautiful handcrafted Puglian, Spanish and Tunisian pieces…..food looks great. Martry Mill is located on the River Blackwater near Kells, Co Meath and is a traditional watermill run by the Tallon family producing stoneground wholemeal flour of exceptional quality and flavour. Contact James Tallon 086 817 3205 or www.martrymill.ie for list of stockists. As the nights get chillier there’s nothing better than bringing a whole baked Camembert in its box to the table, oozing creamy warmth. This recipe also celebrates the sweetness of the apple season to set us up for winter. Cut the apples into thin, round slices as finely as you can (a mandolin works brilliantly). Place some parchment paper on a baking sheet and lay the slices on top – be careful that they don’t overlap (you may need several baking sheets). Mix the sunflower oil, maple syrup and salt together in a bowl and drizzle this over the apple slices. Bake in the oven for 10–15 minutes, until the edges are brown and crimped. Remove from the oven – they will crisp up as they cool. While the crisps are baking, unwrap the Camembert and slice off the top rind. You can discard this or eat it on a cracker if you like, as a cook’s perk. Place the cheese back in its box and press the garlic slivers, fennel seeds and rosemary sprigs into it. Finally, drizzle a little olive oil over the top. While the apple crisps cool, bake the cheese in its box on a baking tray in the oven for up to 20 minutes. Meanwhile, heat the maple syrup and Calvados together in a small saucepan over a medium heat and bring them to the boil. Boil gently for two minutes, stirring. Arrange the apple crisps around the baked Camembert and drizzle the Calvados syrup over the hot cheese to serve. It’s no coincidence that tartiflette is a classic après-ski dish. It’s a rib-sticking, cockle-warming lump of a meal, best used as a reward after strenuous activity. But it’s so delicious you can simply take a smaller helping if your step count doesn’t warrant a heftier one. Boil the potatoes for 3–5 minutes until just tender and then drain them and season with salt and pepper. Heat a good splash of rapeseed oil in a large, heavy pan over a gentle heat. Fry the potatoes for a minute or two and then add the diced bacon and onion. Cook until the bacon has begun to crisp. Remove the pan from the heat. Prepare an ovenproof earthenware dish by rubbing it well with the halves of garlic and greasing with rapeseed oil. Empty the contents of the pan into the dish and bake for 20–30 minutes, until the cheese has melted and begun to crisp. This lets the rind sing! Potatoes on pizza might sound a bit much but they’re surprisingly good. The trick is to slice them very thinly and only use a single layer so they don’t make everything too claggy and thick. To make the dough, pour the water into a jug and mix in the yeast, smoothing it against the sides to ensure it’s dissolved. Add 50ml of the olive oil and 1 teaspoon of salt to the liquid. Pour into a bowl with the flour and mix to form a dough. Leave for 10 minutes. Turn the dough on to an oiled surface and knead lightly until it comes together. Put it back in the bowl, cover and leave for 90 minutes to prove. Meanwhile, remove the leaves from the rosemary sprigs and combine in a mortar and pestle with the garlic and a pinch of salt. Bash this into a paste and then add the remaining olive oil. Transfer the entire mixture to a saucepan and heat the oil gently for about 10 minutes. Turn the heat off and leave the oil to infuse with the garlic and rosemary flavours. Roll out the dough and dimple it with your fingers. Fold it over like a sheet on itself and dimple again before rolling and repeating this a second and third time. Return the dough to the bowl to rest for a further 30 minutes. Divide the dough into three and roll into rounds or rectangles, whichever you prefer. Preheat the oven to 220ºC/425°F/gas mark 7 – or as high as it will go! Finely slice the potatoes and sweet potato into paper thin rounds and arrange them on the pizza bases in a single layer. Dot the potatoes and sweet potato with blobs of crème fraîche and place the slices of Durrus in between the blobs. Finally, drizzle the pizzas with the garlic and rosemary oil and give them a good sprinkling of freshly ground black pepper. You can strain out the rosemary shards or leave them in, whichever you prefer. Bake the pizzas for 10 minutes and serve immediately. A beautiful salad that bridges the gap between summer and winter. The secret to this recipe is a good balsamic vinegar and fresh mozzarella. We are lucky to have buffalo mozzarella from Toby Simmonds’s Toons Bridge Dairy in Co. Cork delivered fresh to our shops. Place the pears in a large saucepan with the water, the seeds from the vanilla pod, the sugar and the cinnamon. Poach the pears over a medium heat until soft. Leave to cool in the syrup. Once cooled, slice the pears and combine on a large serving plate with the mozzarella, lamb and leaves. Whisk the vinaigrette ingredients together in small bowl and, just before serving, drizzle over the salad and then sprinkle with the toasted hazelnuts. Just back from a hectic few days in Capetown, whizzing from one speaking engagement to the next. The food scene has changed out of all knowing in the past decade. Luke Dale-Roberts Test Kitchen, beside the Old Biscuit Mill in shabby chic Woodstock, has a Michelin star and is racked 28th in the world on the San Pellegrino World’s 50 Best Restaurants list. Guests book up to 6 months ahead to savour Luke’s super slick, multi element, small plates. Across the road The Pot Luck Club is headed up by Wesley Randles and his bright young team. This more casual eatery was jam packed too and turning the tables several times over even on a Monday night. La Colombe out in the Silvermist Wine estate gets similar rave reviews and once again tables are full of guests from all over the world who have booked their tables months in advance for this ultra ‘fine-dining’ restaurant. I was fortunate indeed that a dear friend Alicia Wilkinson of Silwood Cookery School whose brilliantly trained students work in all these kitchens managed to secure a table in each of the restaurants so I had the opportunity to sample some of the most talked about places first hand but I have to tell you I wouldn’t have a notion how to reproduce much of the highly acclaimed food we ate. More accessible for me was the food at the Chefs Warehouse Canteen on 92 Bree Street, the place to go in Capetown for tapas for two. You can’t book but punters are totally happy to queue for Irish/Aussie chef Liam Tomlin’s delicious Asian inspired tapas in this relaxed canteen style restaurant with a kitchenware and bookshop tucked onto side and a street food take away outlet on the other. The walls in the canteen are lined with narrow shelves, teaming with irresistible exotic deli ingredients, I had to buy some Khoisan organic sea salt, Rio Grande olive oil, Richard Von Geusau chocolates, Korean red pepper…. The menu changes every day and sometimes several times a day. Beautiful fresh ingredients with multi ethnic flavours served on wooden boards in a variety of mini copper bowls, clay pots, rustic pottery dishes, steaming baskets, clay plates Spanking fresh fish and shellfish, slow cooked meats, shoots and roots, seaweeds and ferments, salad leaves and foraged greens, all delectably balanced, irresistible to look at but not over worked. Menus are written on rice paper, clipped onto sushi mats. The food was super delicious. I particularly loved a calamari, roast corn and curry mayo dish with tiny strips of dry chilli and fresh coriander leaves and a pea and mint risotto. Bree St was not an area on many people’s radar up to a year or so but jot it down on your Capetown list if you reckon you’ll be going that way, then seek out Jason’s bakery. It’s open from 7am-3pm. Don’t miss the bacon croissants. Up the street there are three little gems side by side, The Culture Club, a super little cheese shop and café painted buttercup yellow. Next door at Bacon on Bree, Richard Brosnan cures proper bacon from Duroc and large white pigs and again sells all things bacon in shop and little café including bacon ice cream. One door more and it’s Mothers Ruin – brothers Mark and Rob Hêre offer over 40 gins, many artisan made gins from micro distillers, so much excitement on the drinks scene. The Orphanage Cocktail Emporium is one of the originals in Bree Street, a hipster cocktail joint which also sells a couple of small plates like Truffle Chips with Wasabi Aioli and pizza. (not listed on the menu’s website). The weather of course was beautiful. I also popped into the newly restored Company Garden and met manager Rory Phelan from Inistymon in Cork. These were the gardens of the Dutch East India Company who first started the garden in 1652 for the victualing of their ships that plied the spice trade route between Europe and the East Indies, via The Cape of Good Hope. Potted shrimp, crayfish and crab are always on our deli menu at Canteen and often appear on the tapas board. It is a nice way to serve shellfish bound in flavoured butter that melts once spread over warm toast. The butter can be flavoured to suit your taste with chilli and cayenne pepper if you prefer the shrimps with a bit of heat or something more delicate such as tarragon and chervil. Combine the shrimp meat, lemon zest and juice, spring onion and parsley together and season to taste with salt, freshly ground pepper and cayenne pepper. Pack the shrimp between 8 small ramekins or glasses. Place the butter, garlic and thyme in a heavy-based saucepan and melt over a low heat. Remove from the heat and allow the garlic and thyme to infuse the butter. Strain the butter through a fine sieve and discard the garlic and thyme. Pour the melted butter over the shrimp to cover the entire surface of the shrimp. Refrigerate the shrimp until the butter solidifies. When ready to serve remove the shrimp from the fridge and allow to come to room temperature for 30 minutes. Serve with hot toast and a small green salad. Heat the vegetable oil in a heavy based saucepan over medium heat to 110 °C. Add the potato slices and cook without colour until they are almost cooked. Remove the potato slices from the oil with a slotted spoon taking care not to break them. Lay the slices out on a tray lined with greaseproof paper with a space between each one so that they do not touch each other. Set aside until ready to use. Lightly season the prawns with salt and freshly ground pepper. Lay a potato slice on a clean work surface and brush the edges with the corn flour paste. Place a prawn tail at one end of the potato and roll the potato tightly around it. Place the sugar, peppercorns, juniper berries, rum, dill, lemon zest and beetroot in a stainless steel bowl and mix together. Spread a large piece of cling film out on a clean work surface and place the salmon flesh-side up in the centre of the cling film. Spread the marinade evenly over the surface of the salmon and enclose in the cling film. Wrap the salmon in a sheet of aluminium foil to prevent seepage and place in the refrigerator for 3 – 4 days, depending on the thickness of the salmon. Drain-off any excess liquid from the salmon daily and rewrap tightly. When ready, using the back of a knife scrape the marinade off the salmon and gently wipe the surface with a clean, damp kitchen cloth. To carve the cured salmon, using a sharp, thin-blade knife, make an incision through the flesh at the narrowest end of the salmon. Hold the skin tightly in your hand and work the knife from side to side between the flesh and skin, working the knife towards the opposite end, at the same time pulling the skin with the other hand. With the tip of a knife remove the dark blood line from each slice before serving. Cut the salmon into cubes to expose the salmon flesh. If you cannot find fresh horseradish buy a good quality horseradish sauce. To two parts horseradish sauce add 1 part whipped cream for a mild flavoured sauce. To make the horseradish cream, place the ingredients into a chilled, stainless-steel bowl and whisk to ribbon stage. Season to taste with salt and freshly ground pepper. Refrigerate until ready to serve. To make the fennel salad, slice the fennel as thinly as possible, preferably on a mandolin. Place in a bowl and dress with the olive oil and lemon juice. Add the chopped fennel frond and season to taste with salt and freshly ground pepper. To make the dressing, in a small bowl, whisk together the lemon juice, fish sauce, oil, sugar, chilli, garlic and salt. In a large bowl, combine the pulled pork, frisée, bean sprouts, basil, red onion, spring onion, water chestnuts, pomelo segments, chopped roasted peanuts, mint and coriander. Pour the dressing over the ingredients and toss to coat evenly. Transfer to a serving dish and garnish with the deep fried shallots. Pork belly is a great cut of meat for either roasting or to confit. We sell both confit pork belly and pork belly rillettes in our deli, which are both made from the same cut of meat. When we have cooked the confit belly we gently lift it out of the fat and place it between two greaseproof paper-lined trays and press it with an even weight and refrigerate it overnight so it can firm up before we cut it into even-sized blocks, making it easier to pan-fry and carve. The trimmings from the confit belly get shredded and turned into rillette and are packed into sterilised jars and then covered with a thin layer of the cooking fat to help preserve them and give them a longer shelf life. The roast, confit and rillette are always on the tapas menu in either a broth, salad or as a filling for a won ton or spring roll. Slow roast belly pork improves by brining it first for anything from 24 hours to 3 days giving the meat a finer texture. To brine a pork belly, place the pork in a tight fitting container and cover with cold water. Pour off the water and measure it. For every litre of water add 180 g salt. Place the salted water into a heavy-based saucepan and place over a medium heat until the salt has dissolved. Remove from the heat and set aside to cool. Pour the brine over the pork belly and refrigerate for 24 hours to 3 days. 12 hours before cooking drain and dry the meat. Soak overnight in fresh water. Combine all of the lemon syrup ingredients in a heavy-based saucepan and place over a low heat until the sugar dissolves. Remove from the heat and set aside until ready to use. To make the doughnuts: place the flour, salt and sugar in an electric mixing bowl fitted with a dough hook. Mix slowly until the ingredients are thoroughly blended. Crumble the yeast into the milk and crush it with the back of a spoon to dissolve. Pour the yeast into the bowl and continue to mix. Add the egg and increase the speed of the mixing bowl and continue to mix until the dough comes together in a ball and cleans the sides of the mixing bowl. Add the butter piece by piece until fully incorporated. Check the consistency of the dough; if it seems too wet, add a little more flour. Transfer the dough to a lightly oiled bowl, cover with cling film and place in the fridge to prove overnight or leave to stand at room temperature for 1 ½ – 2 hours until the dough has doubled in size. Heat the oil in a deep, heavy-based pan to 190°C/375°F/gas mark 5. Remove the dough from the bowl. Knock back and knead the dough for 4 – 5 minutes on a lightly floured surface. Shape the dough into quenelles using two teaspoons, or spoon the dough into a piping bag fitted with a wide, plain nozzle and hold it above the hot oil. Squeeze gently, snipping the dough with scissors into small, even, rounded pieces as it drops into the oil. 1 minute on each side). Remove the doughnuts from the oil using a slotted spoon and place them into the lemon syrup and leave for a few minutes to soak up the syrup. A really posh new book celebrating Irish food and cooking has just arrived on my desk. 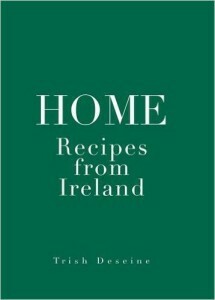 HOME: Recipes from Ireland is Trish Deseine’s new book, and it feels like a love letter to her home country. Trish was born and educated in Belfast and grew up on a beef farm in Co. Antrim. In the 1980’s she “escaped” to the University of Edinburgh to read modern languages, and from there to Paris in 1987 where she lived for almost three decades soaking up the ambience and the food culture. This absence from Ireland has given her a unique understanding and perspective of what has shaped our Irish food culture, erasing “the last traces of that knee-jerk bigotry that a hard-line, almost Presbyterian, upbringing tried to drum into me”. Until the 1960s, the English conquest and the great famines of the 1840s were the two main factors that shaped Ireland’s food culture. In earlier times Ireland’s rich fertile soil and temperate climate afforded excellent tillage, flavourful livestock and dairy products, and an abundance of game, fish and shellfish. By the 1840s the Irish population had grown to 8 million, but over-reliance on the potato meant that over a million died from starvation by the end of the century, and several million more fled the country contributing to the huge Irish diaspora around the world. 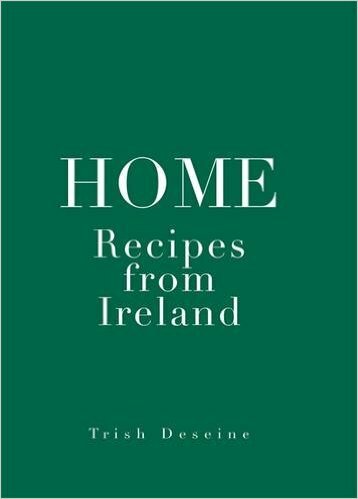 Trish has included many favourite recipes from her childhood in Co. Antrim but at the same time, in full-on “returning native” mode, several signature dishes of top Irish chefs using our beautiful Irish ingredients – all superbly and evocatively photographed by Deirdre Rooney. This stylish, beautiful coffee-table book is an important addition to the growing number of books celebrating both our traditional and emerging Irish food culture. Melt the butter in a large saucepan and sweat the onion, white turnip, apple and potato for approximately 10 minutes. Pour in cider, stir and reduce until the alcohol has reduced, but not too much as you want to retain the cider’s acidity. In a separate pan, heat the milk with the rosemary and thyme and leave to infuse. When the onions are translucent, add the herb infused milk. Bring to the boil and simmer for a further 10 minutes. Remove from heat, liquidise and pass through a fine strainer. From Some Experiences of an Irish R.M. by Somerville and Ross. Woodcock smokery is in the pretty Cork village of Castletownshend near Skibbereen in County Cork. The main street, flanked with colourful terraced houses and the odd pub or small shop, dips steeply to the edge of the harbour, overlooked by the handsome church and 17th century castle built by Richard Townsend. It’s a sleepy, romantic place, home to writer Edith Anna Somerville, co author of the Irish R.M. series of humorous novels on Irish life in the early 1900s. It’s here that Sally Barnes smokes her wild fish, using only a time-honoured and traditional methodology, without adding any colourings or artificial preserves. Wild salmon is in short supply in Ireland, but instead of turning to farmed stocks, Sally has preferred to diversify the fish she uses, including line-caught Irish tuna. Here I have included it in the most simple of Irish dishes: buttered potato mash. Add a drop of lemon juice perhaps, but not much else is needed. Peel and boil the potatoes for about 20 minutes until they are soft. Mash them with the warm milk and add half the butter. Season with a little salt and pepper and a squeeze of lemon. Flake the tuna through the hot potato mash, add the rest of the butter to melt on top and serve immediately. Irish Little Gems are larger, frillier and tastier than those I have become used to in France. A mini version of Cos salads, they are perfect for plating, as their long naturally cupped leaves stay fresh and firm. In this recipe, they are also a good backdrop to Fingal Ferguson’s wonderful charcuterie from the celebrated Gubbeen farm, one of Ireland’s pioneering producers, set in a “gentle and fertile corner of West Cork”. Here I have teamed sweet apples and grassy Donegal rapeseed oil with Gubbeen’s wild venison salami; it is both fruity and earthy, smoked over “sweet woods” and cooked in white wine. Add a few fried bacon chunks for a bit of crunch and you’ll have a great salad starter or light lunch. Set the salad leaves on two large plates. Dot the salami over them. Fry the bacon until crisp, then scatter it and the apple slices evenly over the leaves. Drizzle with a vinaigrette made from the oil and vinegar, and seasoned with salt and pepper. Serve immediately with some good soda bread and salted butter. 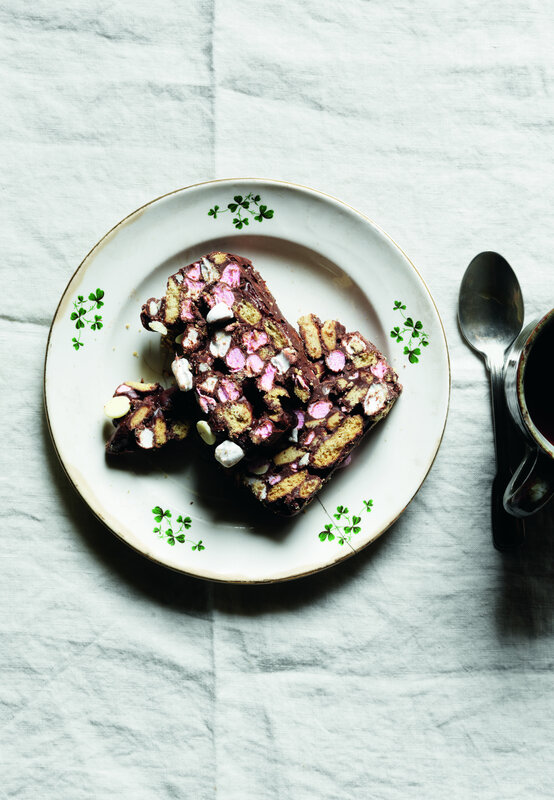 A relative newcomer to the rows of traybakes and fridge cake, the rebel Yank, Rocky Road, has broken the straight-sided mould of the usual suspects and is often presented in irregular chunks. Unlike the many other sugary squares, this is one recipe where you can make a huge difference to the taste, despite the, frankly, trashy ingredients, by using really good chocolate and good quality dried fruit. This borders on a traditional fridge cake recipe, (which is fudgier and usually covered in chocolate butter glaze) like those I recently spotted, thinly sliced, served with chocolate sauce, on a pub’s dessert menu or fashioned into a Christmas Pudding shape for an “alternative” Christmas Day dessert. It might not be the most challenging or sophisticated of recipes, but it does seem as if everyone loves it. Grease and line a 20 cm x 25 cm (8 inch x 10 inch) cake tin. Put the chocolate, butter and golden syrup in a bowl and melt gently together over a bain-marie or in the microwave. Crush the biscuits into irregular pieces, either with a quick blast in a mini blender, or in a tea towel with a rolling pin, then add them to the chocolate mixture. Tip in the dried fruit, marshmallows if you are using it, and stir it all well until everything is coated in chocolate. Spread the mixture into the tin, smooth out the top and let it cool and harden in the fridge for an hour or so. 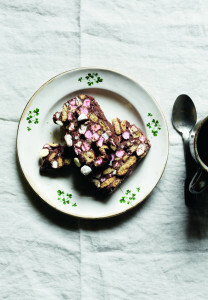 Cut or break the Rocky Road into pieces and serve. Scared to tackle sushi yourself? Sushi made Simple will help take the mystery out of making sushi. We will start by explaining the ingredients, basic equipment and techniques required. Sushi gets the ‘thumbs up’ from cardiologists and nutritionists – not least because it is based mainly on fresh fish, seaweed, vegetables and rice, but it is also low in saturated fat, high in vital omega 3s and rich in vitamins and minerals. On Wednesday November 25th starting at 9.30am, we will show you how to make at least eight different types of sushi as well as sashimi. Students will have the opportunity to taste all the dishes prepared during the demonstration. Light lunch is included. I’ve just returned from a whistlestop tour of Chicago. The main purpose of my trip, was to collect a iBAM award which I was indeed very honoured to receive. I was warmly welcomed by the hospitable Irish Chicagon’s. I also managed to check out the food, urban farm and gardening scene. On the very first evening I had a delicious dinner at The Gage, a sister restaurant of Acanto both owned by the Lawless family (now Chicago restaurant ‘royalty’) originally from Rahoon in Co Galway. Charismatic Irish restaurateur, Ferdia Doherty gave me a glowing introduction. His Farmhouse Tavern is the quintessential ‘farm to table’ restaurant and he is justifiably proud of his sustainable sourcing, all produce comes from the four surrounding states Indiana, Missouri, Iowa and Wisconsin. Local sourcing has of course been gaining momentum for over a decade but it has reached a crescendo. Every chef I talked to waxed lyrical about creating ‘farmer friendships’. The Lincoln Park Market on Saturday morning is not to be missed, packed with Autumn produce, freshly pressed apple cider, wild mushrooms, hand made cheese and charcuterie, loved Underground Meats from Madison. There in the midst of it all, was Jared Batson, a past 12 Week student turning out the most delicious sourdough pizza from this mobile wood-burning oven. He also makes woodfired omelettes and scrambled eggs. Not surprisingly there was an interminable queue. His pizza toppings reflect what’s in season and on the surrounding market stalls. I tasted also a couple of his house-made sodas. I particularly loved a pizza with tomato n’duja and soppresatta with Hungarian wax chilli, with drizzled Serrano honey. Another with watercress pesto, black walnut, bacon lardons, mozzarella and shaved fresh apple slices was equally delicious. People sat around in the park listening to drumming with the children. I was also intrigued a brilliant initiative called Little Sprouts aimed at the children who come to the market with their parents. Each week they have a new vegetable for them to taste. Kale, romanesco, carrot, spinach…the kids love the fun and get credit for being ‘super tasters’. There are colouring books, little prizes and competitions, they learn about the seasons. Invariably the child meets the farmer and asks the parents to buy the vegetables so the stall holders also benefit – a neat idea that could become part of all our farmers market over here. People on ford stamps are also able to get double value when they spend them at the Farmers Market, another terrific idea. Like so many restaurants nowadays, Girl and the Goat concentrates on small dishes to share, the cool waiters wore black t-shirts with punchy one liners. Goat You!. What happens at the Goat stays at the Goat!…..
Dinner starts early in Chicago, by 4.35 the restaurant was packed. Stephaniezard’s food Igard’s is multi ethnic but she loves goat and ‘pigs face’. There’s now a Little Goat Diner – a chef to watch. I also loved Abraham Conlon’s Macan/Portuguese food at Fat Rice on West Diversey Avenue. We had a memorable brunch at Dove’s Luncheonette on Damen Avenue – oyster omelette with tomato confit and chihuahua cheese with a Texas toast – big toast – ½-1 inch thick! Make time to wander through Millennium Park to see The Bean, the Cloud Gate and Lurie Garden. And certainly don’t miss the Chicago Art Museum – voted the best in the US and deservedly so, then there’s the urban farms and gardens, the brilliant new Local Foods Store and Will Allen’s food revolution at Growing Power – the worst thing about Chicago is having to tear yourself away – to be continued…..
Discovering Tapas, a half day course at the Ballymaloe Cookery School on Wednesday November 18th. In one afternoon we have choosen our favourite tapas – classic tortilla a la patata, pata negra, salt cod bunuelos with aioli, pimento de pardon, bunuelos con chrozio y queso, garbanzada……to name a few. Light lunch included. Pop Up Dinner at the Ballymaloe Cookery – Jared Batson, from Nomad in Chicago will host a Pop Up dinner on Wednesday November 11th to support the East Cork Slow Food Educational Project. Aperitif, delicious nibbles, three course dinner..
My friend Mary Jo cooked up a luncheon feast during my recent visit to Chicago including this delicious and unusual dessert made from ripe tomatoes. Line a lightly buttered round 23 cm/9-inch cake pan with parchment. Melt the butter and brown sugar in saucepan. Pour into prepared cake pan spreading evenly. Arrange the tomato slices snugly in a single layer over the firm sugar base, filling in gaps if necessary. 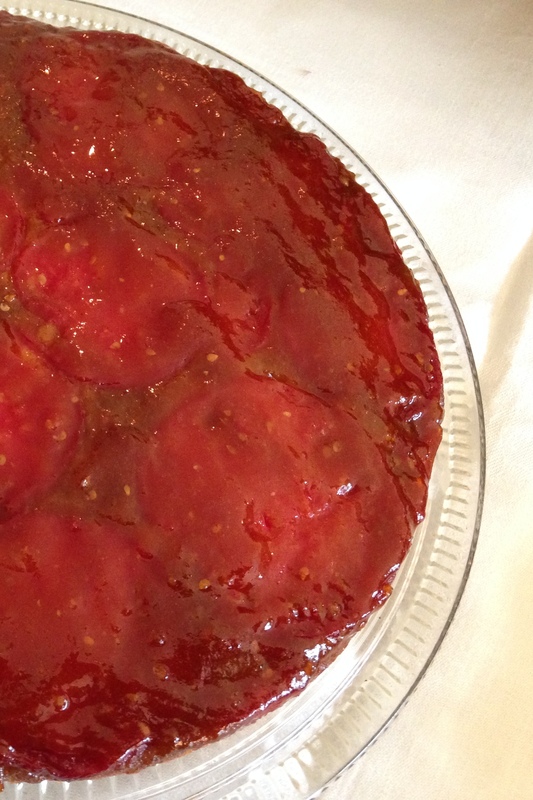 Spread a thin layer of tomato jam over slices. Sieve the flour, salt and baking powder. Cream the butter and sugar until fluffy. Add the eggs one at a time beating well after each. Add the vanilla extract. Blend in the sieved dry ingredients; add a little milk if needed. Dollop the batter around prepared pan and spread evenly over tomatoes. Bake for 30-35 minutes or until firm in the centre. Remove the cake from oven and cool for 10 minutes. Loosen edges and reverse cake, unmolding onto a plate while still warm. Remove the parchment and carefully spread a glazing layer of remaining Tomato Jam over tomatoes. Serve warm or at room temperature with whipped cream. Makes 300 ml/½ pint jar. Put all ingredients into a stainless steel saucepan cook quickly to a thick jam. Sieve to remove seeds. 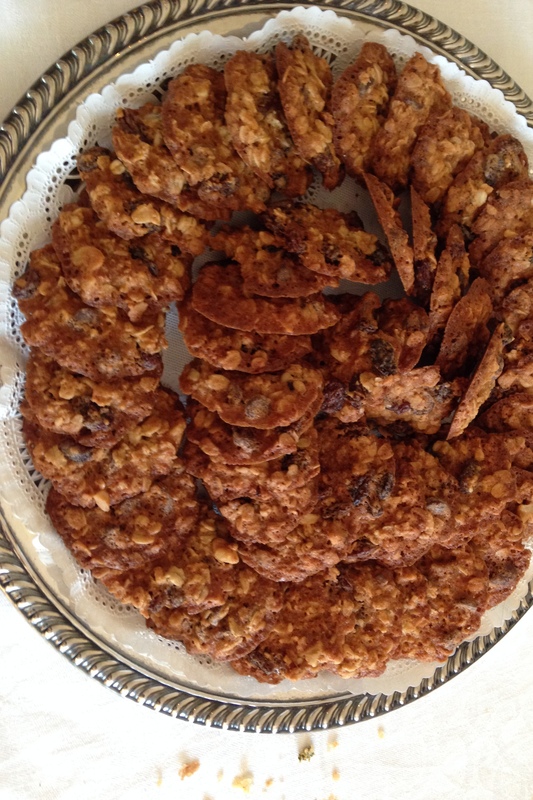 Another gem of a recipe from Mary Jo McMillan’s table – her son David’s favourite cookie recipe and may well be your soon. I even brought some home in my picnic on the plane. Makes 18 large cookies or 5-6 dozen babies. Cream the butter and sugar together. Beat in egg and gradually beat in water. Sieve the flour, salt and baking soda together. 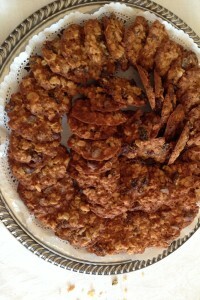 Stir into the creamed mixture with the wheatgerm, add the oats, chocolate chips, raisins and nuts. For large cookies scoop dough with 2-oz. ice-cream dipper, and place 8 cookies on 8-by-14-inch lightly greased or greased parchment-lined baking sheet. For baby David’s, drop cookies by teaspoon. Using a fork dipped in water, flatten cookies to 1/2-inch thickness. Large cookies should be at least 3 inches across. Prepare all raw ingredients and combine together in a large mixing bowl. Toss with the apple cider vinaigrette and garnish with the fresh made kale chips. Enjoy! Combine all ingredients except for the olive oil. Whisk in olive oil slowly to emulsify. Season to taste. Enjoy! A small baking pumpkin – butternut or delicata squash. The method below works on any variety of squash. Peel the pumpkin, cut in half and remove the seeds. Cut into ¼ inch thick wedges and cut in half again, creating 16 wedges (you may have extra pumpkin left over.) Toss the wedges in olive oil, salt and pepper. Spread the pumpkin out on a baking pan. Roast for 15- 20 minutes or until tender – when the wedges begin to caramelize and they are golden brown. Remove from the oven. Mix the 2 tablespoons of honey and 2 tablespoons of butter together. Coat the hot wedges and return to the oven for another 10 minutes. Remove from oven and allow to cool to room temperature. Next make the vinaigrette. Whisk together in the order of the listed ingredients. Divide the pumpkin up onto 4 plates. Toss the baby kale and peppers in the vinaigrette. (depending on the variety and texture of the kale you can allow the kale to sit in the vinaigrette for 5 – 10 minutes before serving. The vinaigrette “cooks” the kale and tenderizes it.) Then spread it out over the pumpkin wedges, top each salad with a sprinkling of pumpkin seeds, 5 slices of soppressata, and a tablespoon of fresh goat cheese. Drizzle with any remaining juices from the pumpkin baking dish.